Recently, a few of us went out evangelizing again in the barrio closest to the church. Please pray for several people who heard the Gospel that night. The kids at the school are catching on fairly well with English, and there are several opportunities for evangelizing to the staff, students and the parents. There are plans for a new bible study which would be held there at the school. I had a meeting with the director and there will be some teachers and students attending. But I also intentionally throw in Bible for english lessons sometimes. Pray for all of that and for Trinity who is in Malaysia serving now for a while. In Hato Mayor, right now there is a rotation of preachers from churches we fellowship with for Sunday mornings. There are several the Lord has raised up in a few churches we know of, and they have been very gracious and helpful to us. They are coming in to help as I step back a bit from the leading pastoral role there. This also allows me the necessary time to focus on some other very important areas, like my personal physical and spiritual health, the family´s and other needs, and future ministry plans. If He wills and as He leads of course. We are still present, supporting, serving and helping in many other ways. Others are stepping up and assuming responsibilities. Brother Carlos has really stepped up and is leading meetings and the evangelism. It is good to see that the core, is very united and committed to the continued growth of the church. Praise the Lord for that and the work he is doing in Carlos. So we will be on a sort of ¨in country/on the field furlough¨ at least until we get Yeison’s visa. 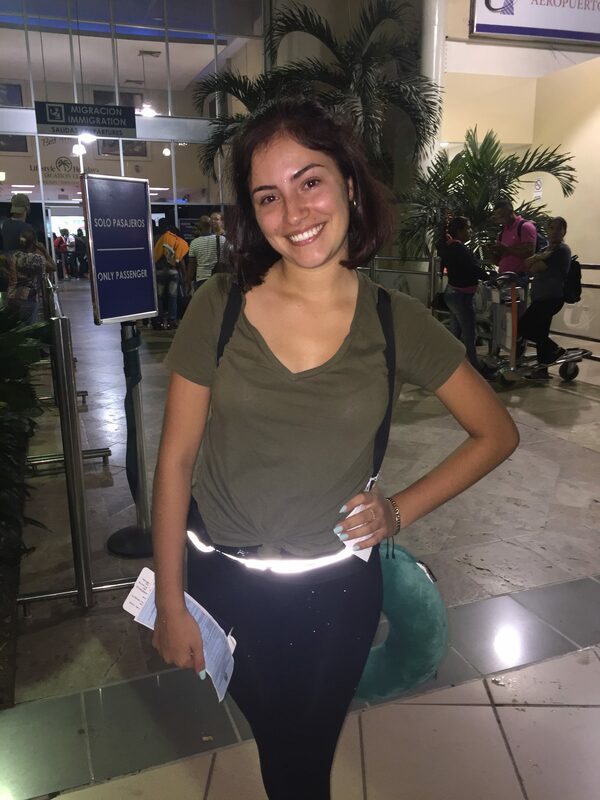 We are due for a break, some tell us way overdue for a break, but our situation with Yeison is very unique and unfortunately hinders us from all being able to travel as a family together. So limiting some things we do for a while gives us a chance to get some much needed rest and to pray for and tend to so many other things that have unfortunately been unintentionally thrown on the back burner. Some of you who have supported and followed from the beginning may remember when we got here and hit the ground running with pastor Jose and the three churches there , because I already spoke the language. Those who have followed us know we have stayed pretty busy, many times too busy for our own good. More than a handful of well meaning brothers and sisters have told us to slow down for a while. In fact, we hit the ground running in 2012 since we were familiar with the culture, after many prior visits and our established relationship with Pastor Jose and the churches in and near Esperanza. But all that running hard over time takes it´s toll,…. has taken. This August will be seven years on the mission field by God´s grace. Many of you know how in the beginning we came here with almost nothing and very little support. The Lord has sustained and blessed us beyond what we imagined over and over again through the years. But just as many enlisted soldiers serve for 4-6 year deployments , missionaries very similarly usually come home on furlough between extended times on the mission field. This is for several reasons. For their health, (spiritual, mental, physical,) for their longevity on the field, for much needed rest and healing and encouraging. And usually, even when on furlough in the states, a missionary must often work hard reporting to churches and supporters, fundraising for much needed support for family and ministry needs. Which usually means much traveling for necessary speaking engagements (whether it be preaching, reporting, teaching,) which is expensive and an added financial strain. It can be exhausting and stressful traveling with children and constantly living out of a suitcase, and many times literally only trusting the Lord to provide a vehicle or place to stay. Our little budget doesn’t cover all of it. As a matter of fact we need to get back soon to do some fundraising. We still need new mission partners to be able to continue the work. There is still much we want to do, to help ESPECIALLY in the area of coming alongside and making available help and resources for men called to the ministry. We still need funds for projects, an emergency fund (currently non existent) etc. For this to happen, we need more churches and individuals, willing to partner with this mission. Please pray about giving or sharing the needs here with others. We certainly pray and need more than ever more prayer and support during this time of attempted rest, spiritual recharging, and honestly some healing. We still have many needs, our family´s, as well as the church. We want to continue supporting in every way possible, and we have some special individual cases of brothers and sisters with special needs we wish to continue helping with. There are no shortage of those here. Please continue to pray for Yeison’s visa to be approved. Please also pray for us as we will be switching very soon, (Lord willing) to Christian Missionary Clearinghouse which a ministry that helps independent missionaries like us for a very very small fee and they presently help hundreds of missionaries like us. We have been told to be patient since this is a very busy time of year for them. Please be aware but do not worry, we will be emailing everyone immediately as the switch takes place officially so that your donations can be sent to the new address. The same tax write offs will be available to donors and the processing of checks should be much quicker and smoother. Our paypal account for online giving, you can reach on our website and still functioning the same for quick online giving or one time gifts. There should also be a click and give button on the website of Christian Missionary Clearinghouse for us as well once we have officially switched. We do apologize for any inconveniences this may cause, and we are eternally grateful for Romeo and the support and love they have showed and continued towards our family. They will always be a very special group of brothers and sisters to us, especially since the Lord saved us there, I was ordained there and we were commissioned out of there. Pray for Romeo, Pray for Pastor Rob, pray for our family, pray for the church here . Pray. The last week of October we did a massive medical clinic that extended over four days and was in three different locations. The first two days were at the church, the third day was at the school San Lucas, the fourth day we did at a christian clinic in downtown that helps people for very low costs and can sometimes offer some medications for free. Over all it went very well. All praise and glory to God. 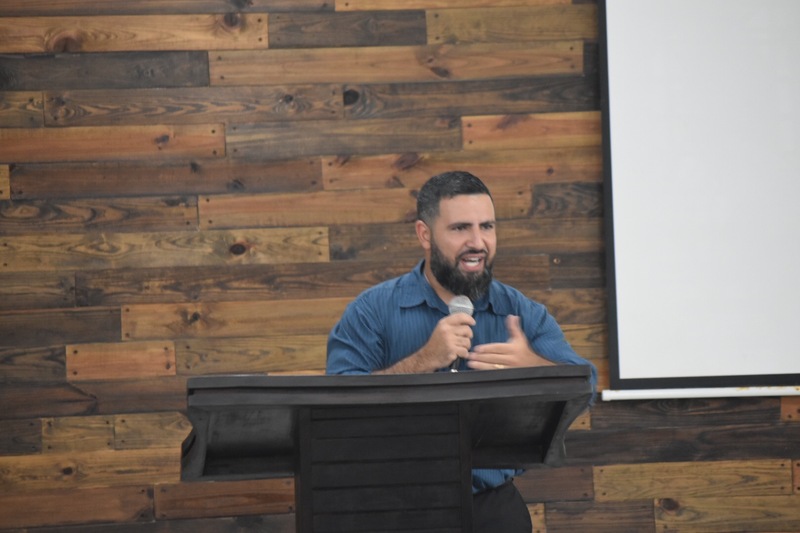 Before that we had Brother Kenny Rodrigue from our friends at Woodside Baptist in Ocala, visit us and do an excellent three day conference on the church being the temple of God. A wonderful and edifying time of preaching and teaching. Praise God for that time of teaching and fellowship! Just a week later, A wonderful young couple (Anthony and Stephanie Willis) had been wanting to do something with medical missions for sometime. They were put in contact with us through a good brother who had visited us on a trip a couple of years back. We had never met and it was going to be their first mission trip that we knew of. And although we have been part of countless medical trips and and likes, it wasn’t something we had ever set up completely on our own like this one. So it was a first for both of us in that sense. We have organized all kinds of different trips ourselves but as far as the medical ones, we were usually called in to help organize, translate, or share the Gospel with those coming through. Thankfully we had the help of experienced friends who did help guide us in certain areas we needed a little more knowledge in. In all of the teams we have received over the years, (and there have been a lot), we have never had an issue getting the meds through customs since they were very obviously for helping the people here of their country , and thankfully in the past they have been usually gracious and appreciative about that, usually. Unfortunately on this occasion, like always customs had no problem and released the meds to be allowed in the country after a short explanation about who we were and what they were for and where we would be working. This time though a woman from public health got involved and really complicated the situation to the point that we still haven’t been able to obtain the medications. we spent money sending a rep´representative of the mission to the capital with the paperwork they gave us to the office they told us to go, but after investing the time and money, still to to no avail. Upon returning to the customs office at the airport here in Santiago they were again very gracious and nice (even repeatedly apologizing for the other department’s behavior)and said that according to them they were released but there was now a conflict between customs and public health officials about what to do with the meds in the capital city. A simple non issue suddenly became an issue. We are still trying and will be making a trip to the capital soon to hopefully finally resolve this. But a side from all of the problems, the Lord was glorified and the Gospel was preached and many were people were helped. At the end of the day that is what mattered. Aside from that , we have been taking a much needed break from ministry. A sort of in country furlough, at least until we get Yeison’s visa. The convention and other churches we fellowship with have been very helpful in helping the church and supplying a rotation of preaching men to help with pulpit supply. We were even able to help people out in Piedra Gorda, a much needed area, with many left over meds to people we know needed them. We are very thankful for Anthony and Stephanie and their willingness to come and serve and do such a massive project with us, basically with the funds from their own pockets, no team, no other churches involved, just a couple who love the Lord and decided to come and serve needy people instead of taking a nice vacation for themselves. Certainly an example worth imitating. The Lord is has been very gracious over the years to bring such people across our path. Please continue to pray for Yeison’s visa to be approved. Please also pray for our sending church “Romeo Baptist” which is dwindling as a church. We will be switching very soon, (Lord willing) to Christian Missionary Clearinghouse which a ministry that helps independent missionaries like us for a very very small fee and they presently help hundreds of missionaries like us. Pray that the transition will be quick and not difficult. Please be aware and we will be emailing everyone immediately as the switch takes place so that your donations can be sent to the new address. The same tax write offs will be available to donors and the processing of checks should be much quicker and smoother. Our papal account is still functioning the same for quick online giving or one time gifts and there may also be a click and give button on the website of Christian Missionary Clearinghouse for us as well. We do apologize for the inconveniences of the past, but we are eternally grateful for Romeo and the support and love they have showed and continued towards our family. They will always be a very special group of brothers and sisters to us, especially since the Lord saved us there, I was ordained there and we were commissioned out of there. Pray for Romeo, Pray for Pastor Rob, pray for our family, pray for the church. Pray. Thank you to all of our friends, mission partners, and brothers and sisters in Christ for your ongoing prayers and support. This month I will briefly share some urgent prayer requests and share an article I wrote a couple of months ago from personal experience in the ministry which was originally written in Spanish, but due to some encouraging and positive feedback, I decided to translate it to share it here for everyone in English as well. But first and foremost, Pray! Our entire family has been under attack in every way imaginable. Our marriage, our children, the church, an all out war of the worst kind. Sadly, we feel at times that we are barely remaining afloat but desperatley desire the prayers of the saints back home. Please pray for us during this time of difficulty. We have been affected spiritually, emotionally, physically and it has been just all around draining. Enduring the storm is never easy, and we don’t recall a time it has grown to this intensity, but we know that the Lord walks with us through it. I ask that you please intercede specifically for each of us by name when you remember our family. Antonio Salgado Jr, Christen Salgado, Trinity Salgado (although not present with us here), Maya Salgado, Antonio Salgado III, Sahira Lora, Yeison Rosario, and our nephew Dominic who is here spending a few months with us. May the Lord protect us, strengthen us, and teach us in this process for our own good and His ultimate glory. Pray brethren. Thank you and God bless. The article begins below, and I pray some pastor or preacher out there may be encouraged by it. Also that some brother or sister out there would stop, think and come to a realization to show the love that they may be lacking in situations as the one presented. If the shoe fits…wear it. The apostle Paul was an extremely intelligent man. To Him had been revealed the mysteries of God hidden to those generations before him. His letters and sermons were extremely deep and theologically weighty. Even with the incredible amount of knowledge he had, by God’s grace of course, there were critics (and we all have them, especially preachers), that simply did not like his preaching or way of speaking. He would speak true and beautiful things, pure words from God, nothing unbiblical in any way. But perhaps he was not as eloquent as other preachers or even the philosophers of his day. You should remember this before we are so quick to judge your pastor, or any other preacher of the Word of God. God has given us pastors and teachers as gifts to His church for our edification. At the same time, just like with the different human authors of the gospels, each of them have, (and each of us too) will have a unique way, due to our different characters, personalities, education, etc. of communicating the same truths. Some may just sound better than others, some may have more passion that others. Some are certainly more eloquent and academic or teacherly than others. Each one of them are their own individual persons as God created them. And its is quite probable that none of them may ever meet your own persoanl standard, please you in their way of thinking or philosophy of ministry, according to your personal preference, opinion, or tradition perfectly. (NONE of which ultimately matter anyway). The question is , are they preaching the Scriptures or not? Do they love the Word, do they love the Lord, and do they love and care for His church? They may or may not preach exactly to your preferred method, they may fail at times. We all have those days where we just preach a bad sermon, or miss a point of the text or a certain detail you thought should have been emphasized more in the text here and there. But he question is, is the Lord using this man to grow and edify the church or not? This is not about if he will have his own weaknesses, struggles and even sins? Of course he will! Someone once said that even the best men are still just men at best. Will they perhaps even have even a few different (hopefully secondary) theological views on certain things that you may understand differently in the Scriptures? Yes of course, and if you don’t see it now, eventually you will. Almost always, there will be something you eventually will disagree with for sure. But guess what…its ok! Its good and well so long as they aren’t missing the mark on the fundamentals of the faith. Isn’t it time we show ourselves mature? There should always be unity in the main things, liberty on the secondary issues, but love in everything. And there is truly an amazing beauty in such a diversity. We have examples in Scripture of men who preach or tell of histories correctly, but in slightly different ways or with some different details. Many men praised Apollos for his great eloquence, while others despised or at least had no appreciation for Paul. Some preachers today include some details and applications that others don’t. So what! Are people in the church joyful and expressing so after the preaching, as God has spoken and taught them something new through His living Word that they now understand that something should change in their life? Are giving thanks to God for those same sermons that others despise and judge?! Just look at the men that God has used greatly in the past and compare their sermons. Charles Spurgeon, Jonathan Edwards, Whitfield, Pink, Tozer, Piper, MacArthur, etc. Everyone preaches the Word, and most with excellence! Some with different methods, some with more passion. Not only in the communication of the message, but also in the way of organizing it. But it is beautiful how God, through different men and in different ways, always does His will through His Spirit to speak through a man and edify His people. Anyone familiar with Spurgeon’s sermons could attest that many times they sounded more like poetry than anything else. Oh how easy it is to judge another man instead of loving him and receiving the much good of the message that was preached! Mature people eat the meat and spit out the bones. But sadly, it seems that for many it is far too easy for them to desire another church, another pastor, or a better specific method of preaching, INSTEAD of loving and serving the church they have, loving and helping the pastor they have, and looking for the good in what was preached instead of judging with arms crossed as the expert that most certainly are not. There seems to be at least one in every crowd these days. Especially moreso among certain circles that shall not be named. That overly critical spirit is one of the ugliest personality traits a child of God can show, ESPECIALLY when its towards another brother or sister in Christ. Let us be very careful as to how we treat our spiritual family. Philippians 2 teaches us that the humility of Christ is what brings unity in His church. And the lack of humility in any member of the church for any reason, will only bring division and the opposite of what Christ wants from us. 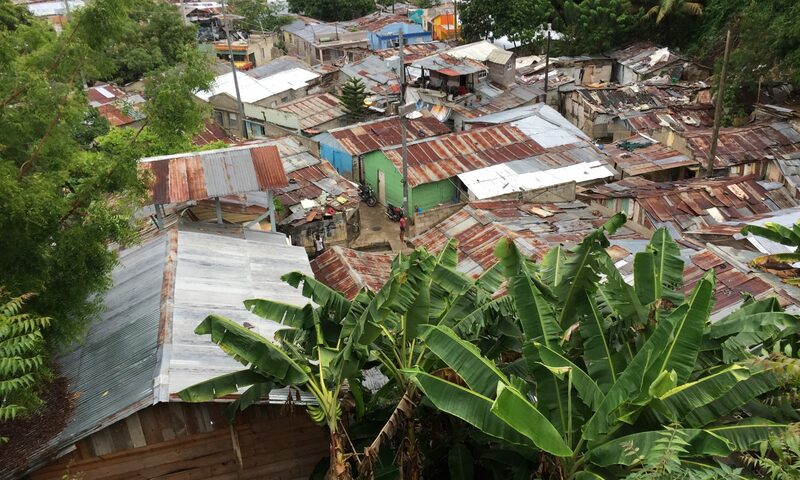 First we want to thank everyone who prays for and financially supports our family and ministry regularly so that we can serve and continue to bring the Gospel to the Dominican people. We are thankful to the Lord for you and your faithfulness. Please pray for Christen, over the last few months she was diagnosed with elevated blood pressure. A couple of months ago it got so high that she was not allowed to leave the clinic until they got it under control. She is now taking medication for it. But recently she has had pain in her chest, jaw and the back of her neck. We had many tests run and everything came back fine, thank God. But the symptoms come and go. The heart doctor said it is stress related. She did pull a muscle in her chest picking up Yeison with one arm, but other than that, all the symptoms she has been experiencing seems to be from stress. Between the school, the family and ministry, things seem to be catching up with her and affecting her health. Please pray for her. Please pray for Yeison, last Friday he swallowed a large coin. We have been back and forth to the hospital with him many times this week. He is acting fine but the coin still has not come out. Every X-Ray shows progress but he has been constipated which really slowed things down. It’s been over a week and we still have yet to confirm that it has come out. The doctors said that as long as he does not have pain, and there is no swelling of the belly not to worry. But it’s been over a week and it’s hard not to. We are giving him medicine that stimulates the intenstines and helps him “go”, but please pray. We are going very soon to do another X-ray to see if it has come out or not. It is possible he went to the bathroom and flushed without us knowing (which would be great if it is gone), but as far as we know it’s still in there. Aside from that, we need to start taking him to physical therapy for his legs again. We are noticing one of his feet is turning outward more than it used to. We especially need prayer that the US embassy here would approve a visa for him which would allow him to travel to the states with us. It’s been over six years now with no furlough and it’s time for a break. But we can’t leave him behind. He has a passport and we have papers showing legal guardianship, but we just need the visa. Please pray for this. Please pray for me as well. I had become ill and have had lots of symptoms which had us a little worried. I lost almost 25 lbs., had sever pain in the abdomen, vomiting and stomach issues. The doctors ran lots of tests and even an endoscopy and biopsy which cost us almost $400 since I do not have insurance. My hair has begun falling out too. The results… a mild case of gastritis!? That is all they could find! Now this didn’t make much sense to me and I expected worse news, but the doctors said this too is mostly stress related and it has begun to affect my health. The last few months have been a whirlwind of problems between the church and all the worries that come with pastoring (especially in this context), the discouragement from the sinfulness of sin and how it slowly destroys people you love, shortage of resources, carrying such a large burden here and how it is now impacting even our health, expensive vehicle repairs, it seems to just be catching up to us and it is finally showing. Please pray that the Lord would allow Yeison to be approved for a visa. Only then could we go home and rest for a season. We realize that we really need it. The church is doing well and we are seeing significant spiritual growth in a few people and regularly seeing new faces, that is good news! Our series in Philippians seems to be edifying many, certainl myself in my study and preparation. I am very thankful for what the Lord is teaching us as a church, us as a family, and personally through this absolutely rich and wonderful letter. Pray for Trinity who is in the states working for a while trying to save money. She is still planning on going to Indonesia but is still quite a way from reaching her goal and January is coming faster than we know it. We regularly share her fundraiser from our Facebook page. You can also find it on gofundme.com under “Trinity serving in Indonesia”. We are also at a point where we really need the classrooms at the church property. Please pray that the Lord would provide the resources to be able to finally begin building. During service the children are in the kitchen or sitting outside in the the sun. We hope that a church or group of churches would be willing to take this on as a project. Pray and consider if this could be something you can be a part of. Please pray and share these prayer requests with your churches and friends. Thank you and God bless! As always I would like to begin by giving thanks to God for His faithfulness and provision over the years. We are thankful for everyone of you. It is the Lord who has put many of you in our path and moved you to give and to pray for this ministry. May the Lord bless you for your obedience and your love for the Gospel of the Lord Jesus Christ. 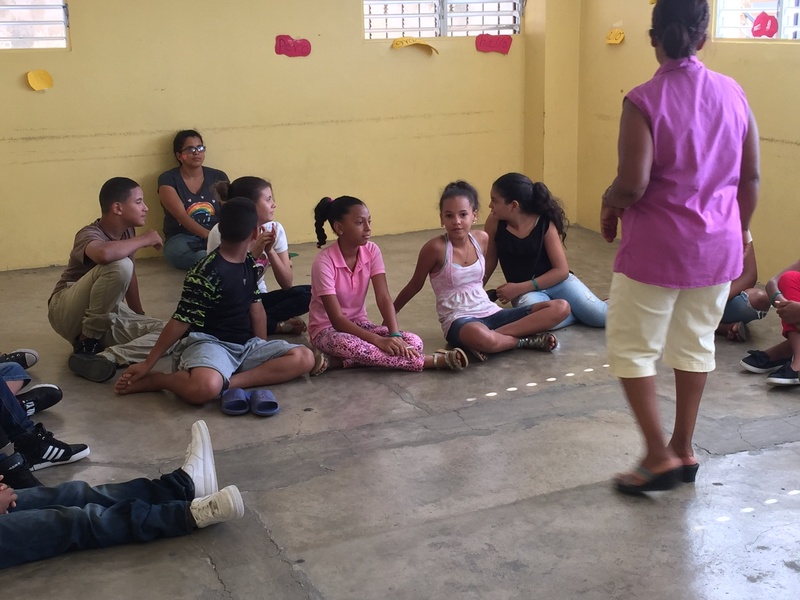 Last week we did a three day vacation Bible school at the a school we are working with. It went quite well. There was a group who was supposed to come with the owner of the school who lives in Florida. Something happened and the group was unable to come. Thankfully we have left over things we have used in the past from when our mission partners from Morriston have come down and supported us in coming (and many other ways too!) and in bringing the resources neededin order to put on such an activity. The result was that we have more contacts and a presence with the people in the community to follow up with we didnt have before. People in the immediate area already know me and have attended a Bible study there held at the school. We still have a lot of work to do there but this allowed us to meet and speak with people in the community that we did not have an audience with before. Now we continue to evangelize but especially with those we have recently met. The main thing of course is the Gospel. Different kinds of outreach like this are great, but the reason for all of it is the proclamation of the Gospel. We dont trust in any specific method of reaching people at all. We do no good just singing with and playing games with kids if we don’t share the Gospel with them. We trust in the power of the Gospel. For this reason I prepared the Bible lessons myself to be sure the lessons were Christ centered and would take the children to the cross. Please pray for the efforts in that community and that the Lord would save and allow a new work to be planted there. Evangelism follow up down in the “hole”. A drug and crime ridden community near the school. At the church in Hato Mayor, we just began a new expository series on Philippians titled “Gospel Joy and the Missionary Church”. We will learn important lessons like, joy, generosity, contentment, unity, mission partnership and of course the humility and exaltation of Christ. Pray that the Lord would give me wisdom and that the church would be edified and grow. We are still planning things for later in the year including a medical clinic around October where we offer free exams and medications to the poor. These have been a great way to serve the community while at the same time meeting new people and obtaining new contacts to follow up with. During these kind of outreach events, we put together a small team of people to share the Gospel with everyone who comes through. Pray for that upcoming activity. We still would love to have others come and teach for us. Having likeminded brothers come and teach for conferences has been very edifying and beneficial in the past. Pray that the Lord would open new doors and lay on peoples hearts to partner with us in this mission and have a willingness to committ. The needs are great as always, and our resources are very limited. Here are just a few of the needs at the present moment. We hope that one or more churches would partner with us and take one of these needs on as a project of their own. 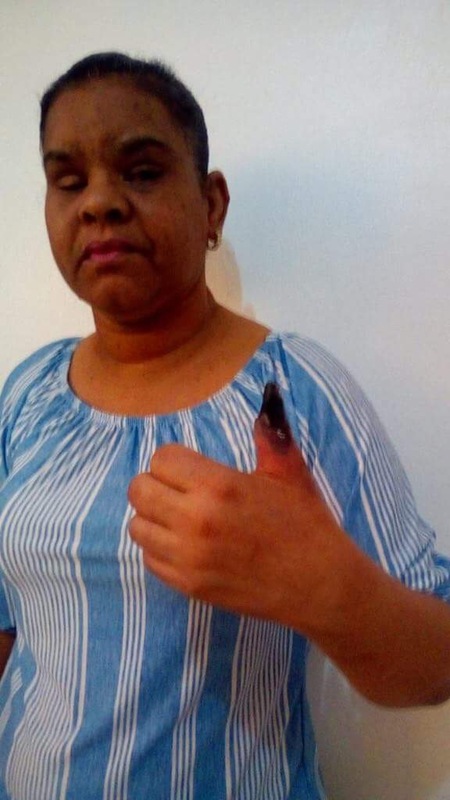 -There is a sister in the church who is very ill. She has to have surgery to remove a finger that has gangreen and has begun to rot still attached to her. Her husband is a former pastor and works but they barely get by. Her insurance is spent and no longer covering any of her procedures, removing the finger being one of them. She is also receiving dialysis and a diabetic. Any help towards this couple would greatly relieve the burden of brother Nico and his wife who’s health is already in a delicate state and would be greatly appreciated. -We are still short on our children’s funds for schooling. The schooling is expensive unfortunately, but the only school around that has teachers specially trained to help our daughter Maya with her learning diability. We homeschooled for years but eventually it got very difficult not being able to give Maya the help she needed. Since attending the school Maya has made great improvements. We still need $6000 for that need to cover the upcoming school year. Please pray about helping. -The church building is still in need of classrooms. By God’s grace, last year we were able to replace the old roof. As the church grows the classrooms are needed more and more. It would be an addition upstairs to the half of the building that has a concrete plate for a roof. The plan is to add at least two rooms and a bathroom. This would help tremendously as we are very cramped for space and the ministry would greatly benefit from the extra room as it would help and play an important role in the process of growth for the church. Especially for the much needed theological training of the men. We are presently seeking an estimate for this project will share asap. If you or your church would like to help in this or any other need, corporately as a church project, please contact us at salgadodrmission@gmail.com. We strongly believe that those who give and pray for missions play a role just as important as the missionary on the field. Teaching children during last week’s activity. We pray for new mission partners to join us in our ministry. We strongly believe that those who give and pray for missions play a role just as important as the missionary on the field. Please share these needs and prayer requests with your church and others. Thank you for your prayers and support, God bless! You can give online here on our website, or you can send a gift of any amount to the Romeo church address in Florida. Click on the “donate” button to give online and/or for the address to send support as monthly mission partners or to meet a need.